Baseline Associates, is a fully insured Colorado corporation, licensed through the City of Lakewood, Colorado. Our polygraph examiners have more than 55 years combined experience conducting polygraph investigations. We specialize in law enforcement and fire applicant pre-employment screening, attorney criminal specific testing, and non-criminal specific issue examinations. 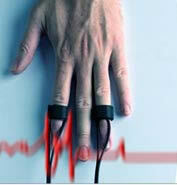 We conduct more than 1,200 polygraph examinations every year. All of our polygraph examinations are conducted utilizing the latest computerized equipment, and in compliance with contemporary and standardized techniques. All of our examinations are video or audio-recorded. Examinations are conducted in our modern offices, centrally located in the metropolitan Denver area. We do offer off-site examinations. Our staff is committed to providing you with the highest level of customer service. We provide quality, professional services for our clients, at a very reasonable cost. Why not put us to work for you?